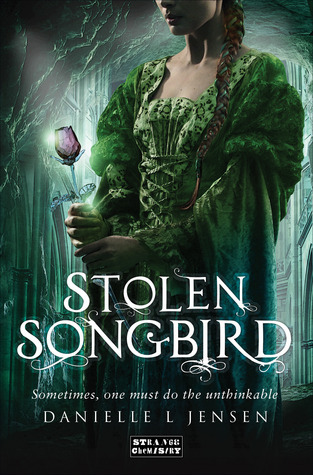 Please describe Stolen Songbird in five words. Can you please tell us about the research you had to do prior to (or maybe while) writing this novel? I don’t do any research before I start writing, but I do spend quite a bit of time on Google once I’ve got the story going. Obviously I spent a bit of time thinking about existing troll mythology, but I also spent a lot of time looking into the properties of certain plants for Cécile’s witchy scenes. There are places in the novel that are based on the real world, so I looked up a lot of images for inspiration. My preference is to go back and edit or fill in research-based information after I’ve got the story itself down, because forcing those sorts of details in while I’m drafting often stifles my creative process. Which probably means that it’s a good thing I write fantasy and not historical fiction! Please tell us more about this magical world that you created. The bulk of the novel takes place in Trollus, which is the trolls’ city, if you hadn’t guessed from its super creative name ;-) Five hundred years prior to when the novel begins, Trollus was buried by a mountain that was split in half, and only the trolls’ magic kept everything from being crushed. So the city is effectively in a cave, and it’s surrounded by a labyrinth of rock where some nasty creatures called the sluag live. I've read my fair share of fantasy novels, but I have to admit that this is the first time I've encountered a book wherein the main characters are trolls or part-trolls. What made you decide to write about them? I was actually inspired to write the story by a dream I had about the setting. The trolls came into being when I started thinking about what sort of creatures would populate such a place, and they really grew and developed as the story went along. They are quite a bit different from the trolls of LoTR or Harry Potter, but hopefully people appreciate my spin on them. My goal was to write a trilogy with a balance of political intrigue, romance, and adventure. If readers are entertained by the story and care about the characters then I consider my mission accomplished.